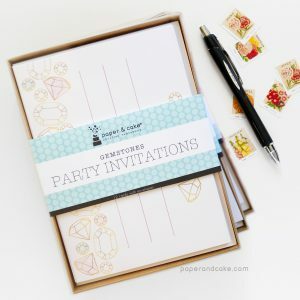 A dozen gold and marbled party invitations. 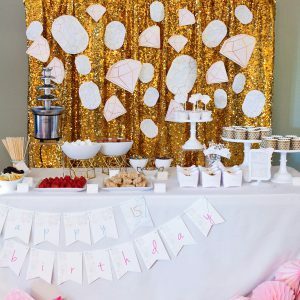 A ready-to-hang birthday pennant banner with gold and marbled gems. 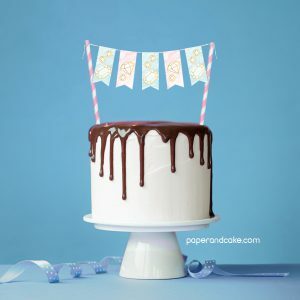 A ready-to-use cake topper with gold and marbled accents. 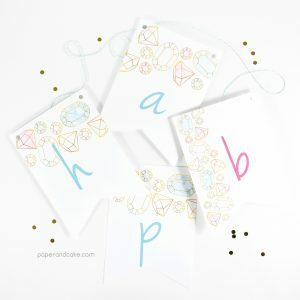 Sparkly gemstones in blue and pink.